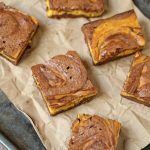 Three of your favorite dessert recipes collide in an explosion of harmonious flavors in this pumpkin cheesecake brownies recipe! With so many different flavor preferences it’s hard to please everyone. But even harder during the holidays when you so desperately want to do just that. Even for a small group, you end up with a half dozen desserts so everyone can get exactly what they want because…it’s the holidays after all. I mean, it’s the least you can do as the cook/chef/baker/hostess to cater to your guests’ likes. But we all know how exhausting being a people pleaser is. This is what you’ll need from the store before you make them. 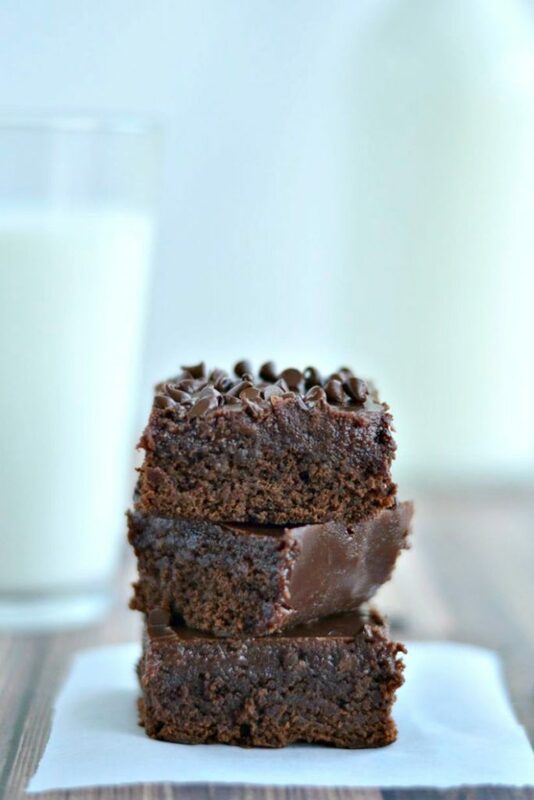 These brownies taste divine all by themselves. Serve them at parties and you’ll be the most popular person there. If you want a fun treat, top them with vanilla ice cream. The result is divine! You can also serve them with a side of something salty – like salted cashews – for a craving-crushing experience. Here’s a printable card for you. Don’t forget to pin this post so you can find it later. You’ll definitely want to make this again. 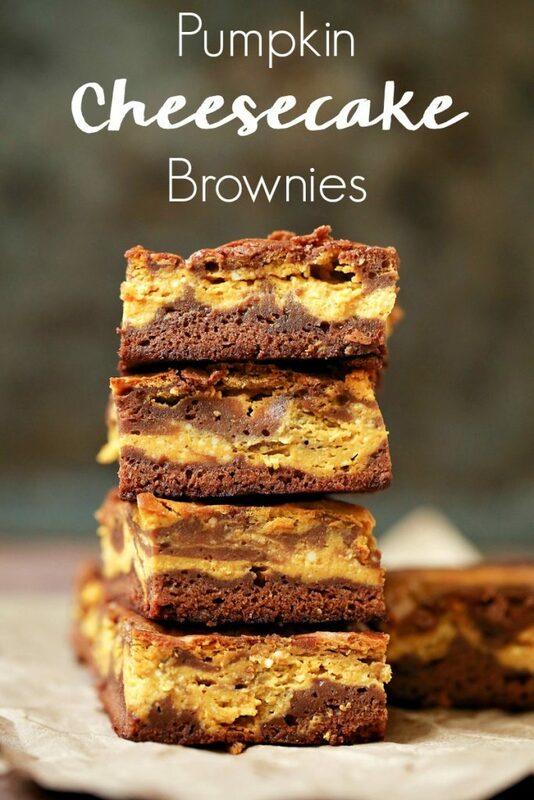 Mix all brownie ingredients together, divide in half, then spread one half evenly into a square pan. Mix all pumpkin topping ingredients until smooth. 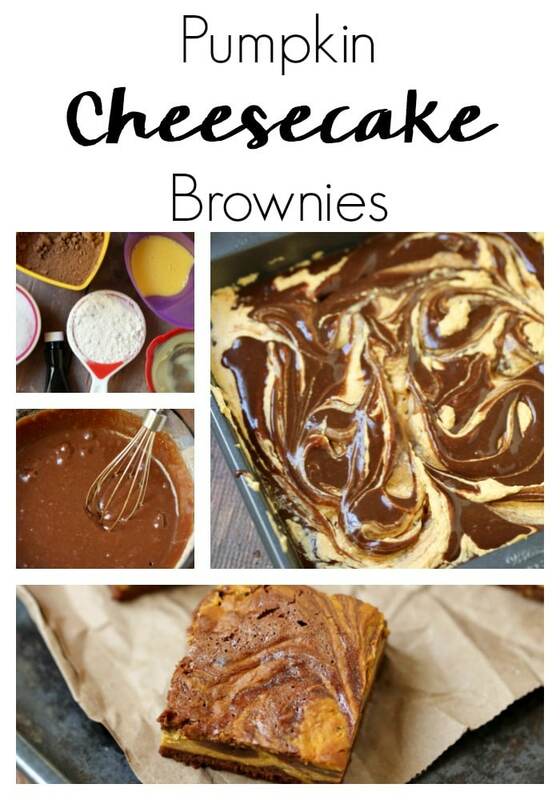 By spoonfuls, drop it on top of your brownie mix, then smooth out. 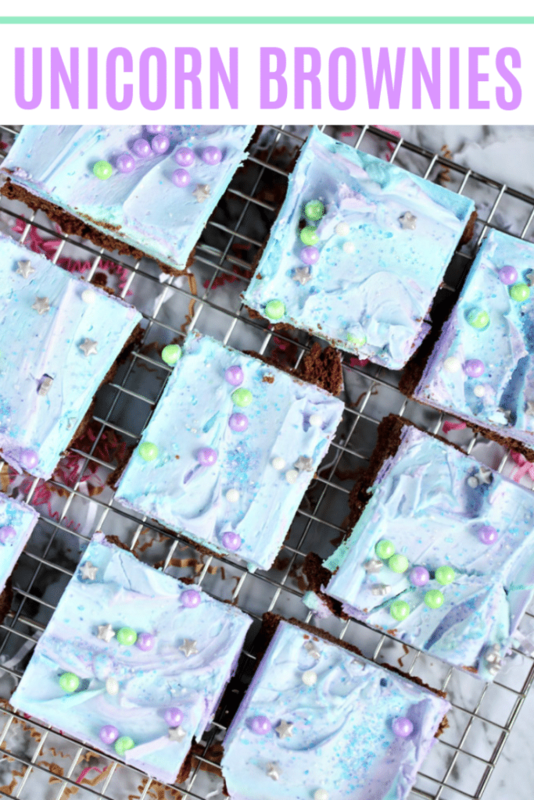 Drop the rest of your brownie mix on top in spoonfuls, then take a fork or toothpick and swirl around until you have your desired look on top. 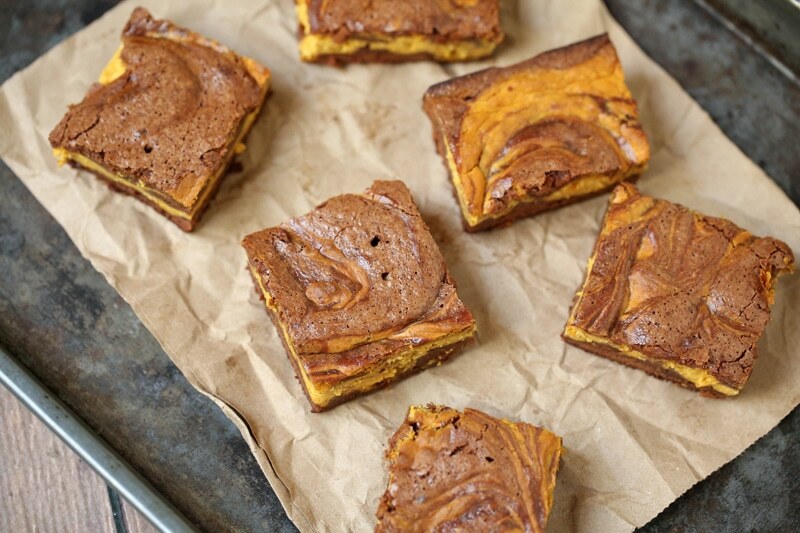 And if you’re not in the mood for this pumpkin cheesecake brownies recipe, make sure to check out my other brownie recipes!